All bands have dreams. Dreams of success, playing huge festivals, selling hundreds of thousands of albums and many other dreams that most bands will never see come to light. But what happens when you have seen all of those dreams come true and you’re left to wonder if that’s all there was? 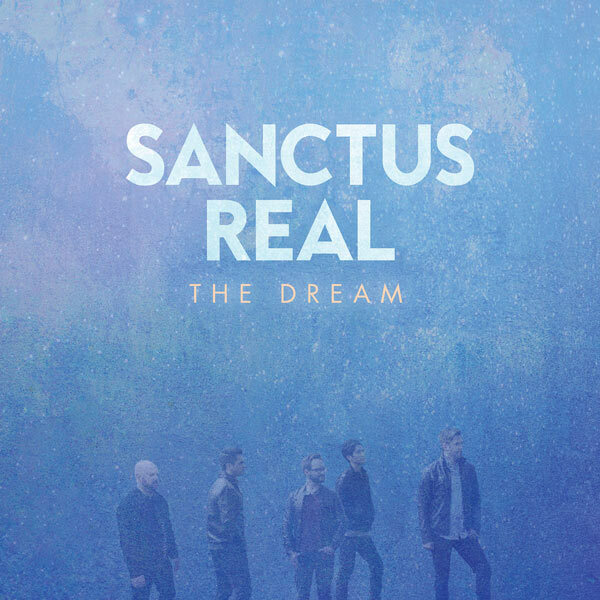 If you are Sanctus Real, you dream again and challenge others to join you in pursuit of the ultimate dream, the pursuit of God. 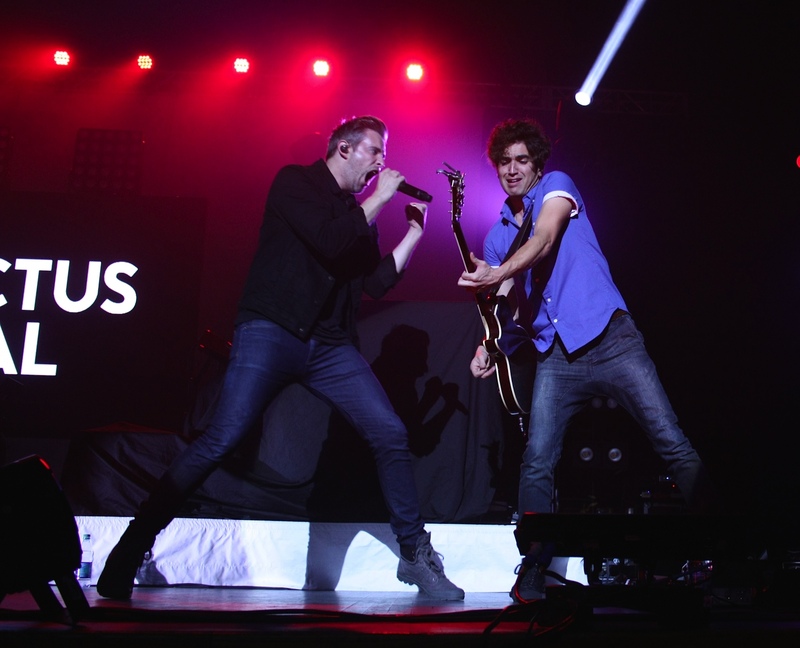 After eighteen years as a band, eight #1 songs, multiple top five singles, Grammy nominations and close to 1 million in album sales, Sanctus Real is still going strong. In a market where most bands are lucky to make it five to ten years they are closing in on two decades of making infectious rock hooks and melodies that keep drawing listeners back time and time again. We at Decent Christian Talk sat down with original member and drummer, Mark Graalman on the final leg of the If We’re Honest tour headlined by Francesca Battistelli to discuss the past and future of Sanctus Real, managing home life and tour life, and the state of the music industry and of course their new album, The Dream. DCT: Thanks for sitting down with me today. Tell me about the current project Dream and the overall theme. I know you all approached this project with a very specific intent. Tell me about The Dream and what led you all to this point. Mark: You know, I think for us, because we’ve been doing this so long at this point, it’s been a rediscovery of who we are now and what are we called to do as a band and as a ministry. And basically what we started realizing is that after 18 years of doing this as a band and having signed with our label in 2002, means 12 years of full-time touring and making records. This is our 7th record and at some point you start asking questions. There are a lot of things that happen along a journey that is strung out, all sorts of ups and downs. You start to ask yourself at certain points “Are we living the dream?” because this doesn’t necessarily feel the way we pictured it or feel the way we thought it would be. Because you can have a tendency through all of that to compare yourselves to what’s going on around you, this artist or that artist who have reached a certain level of success. If that doesn’t come for you in that certain way it can cause you to question certain things like, “are we done?”, “did we already hit our peak?”, “is God done using this thing now?” So in a lot of ways The Dream was kind of our way of searching through those questions and trying to find answers. What we really felt like God taught us through that time was that, for one, yes he was still calling us to do this and be used by him in this arena.. and two, what we’ve learned and kind of always knew, but are grasping in a deeper way, is the fact that the dream isn’t about all of this stuff. Its not about this life and all of this stuff we’ve been chasing. The dream is simply God. You know, if we are to be living the dream, really what that ultimately means in regards to happiness, fulfillment, and joy… it just means being right with God and letting that being enough. DCT: I know that your wife and kids are very important to you. You are on the road a lot, how do balance the pursuit of the dream of the band and pursuit of your family? How do you balance all of that? Mark: Its exactly that, its a balancing act. Its definitely something that we have had to become super intentional about over the last six years. We’ve finally been able to make these kind of changes and decisions in terms of our scheduling of things and how we are going to tour. DCT: I’ve noticed that you have been more intentional as to when you tour and how you tour. It seems to be on specific days, like weekends. It seems to be less but very thought out. I know that you are all very busy with kids and families. So is that how you are balancing this? Mark: Yes, what you are seeing is the results of that plan. Mark has four kids, Chris has three and I have three. We have two new guys, Jake Rye (bass) and Seth Huff (keys and guitar). Seth and his wife are expecting their first child as well. At this point, that’s very much the priority over being a rock star. Its about being a husband and father. So yeah, what you are seeing is very intentional. We do 1, 2, or 3 shows on the weekend but the rest of the week we have got to be home. 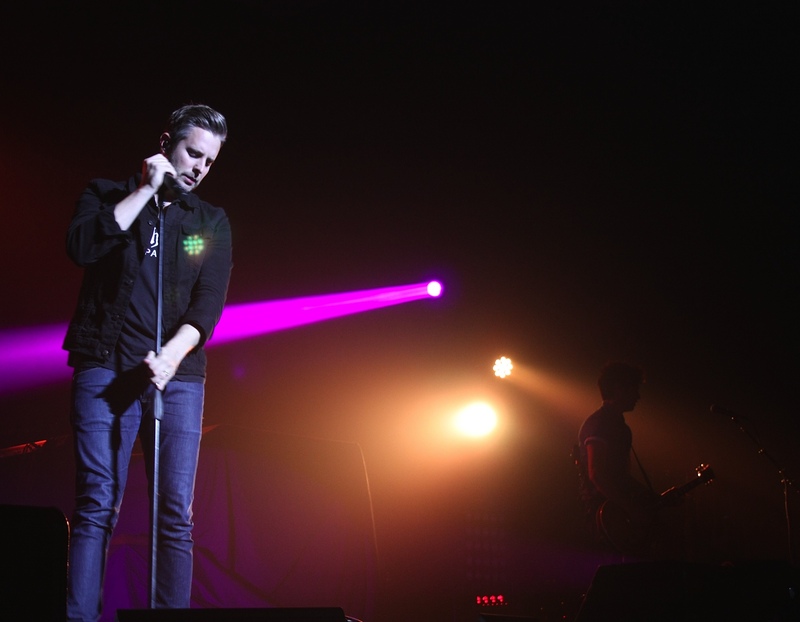 DCT: So what does the future of Sanctus Real look like? Eighteen years is a long time for a band. You have already achieved a lot by doing that. Is there an end-game or are you going to keep going strong? Mark: Yeah, Its a long time. At this point we have never discussed an end or how we shut this thing off. DCT: I don’t think you need to. You’ve been with Sparrow Records for 13 years now. With the way the music industry has changed, how has that affected the way your music is marketed now? There has been a dynamic shift in the way labels have to get music out. It used to be they sent out a press release, promoted to radio, and sent out street team marching orders. That was all it took, but not anymore. How are you guys getting word out that their is a new Sanctus album out? Mark: It’s been this way for maybe the last couple of records but the shift is definitely towards social media like Instagram, Facebook, and Twitter. It feels like ninety percent of what we do to let people know we have a new record is through those outlets. DCT: We have seen a major shift since you all signed with a label originally. With that shift, do you see a change in how bands and labels interact in the future? Are bands still going to need labels in the future or will it be a different animal altogether? And a follow up question, why wasn’t your album free in my iTunes on the release date? Mark: (laughter) Because Apple didn’t give us 100 million dollars to do that! Its definitely going to be different. And the tough thing is that I don’t know if the labels are going about it the right way. Every new artist that we have seen come out in the last 4 years is offered whats called a 360 deal. It used to be the label would primarily make their money off of the record. They would front the money for the record and then make the majority of their money off of the record sales. Now they want that same money off of the record sales but they also want a percentage of your merchandise sales and a percentage of your touring. So, in terms of the artist, it’s not the way it was. The industry feels like it’s created for everyone to make money except the artist. It almost seems like that mentality is on another level right now. But with that said, I don’t know what the answer would be otherwise for the labels. For newer artists, I really want to see and we are seeing it, there are more guys and gals coming up who are breaking through the strong holds of the industry. I don’t know that I would say it’s at a place yet where its not worth signing to a label but its certainly getting there. There are indie artists that are having almost as much success or more success than signed artist. Mark: Yes, like that. We are seeing that more and more. DCT: So what’s next in regards to tour? How much is left on this current tour? Will there be a tour to promote this album specifically? Mark: We are finishing up this current run. This week is the last on this current leg. We will be doing a series of shows on the album but then we will be taking back over this same tour as the headliner. We had been with this tour back in the spring, which is sponsored by Compassion International, with Franny (Battistelli), and it was actually their most successful tour in regards to sponsorships. So we are excited to partner with them again. We will be taking Josh Wilson out on that tour. 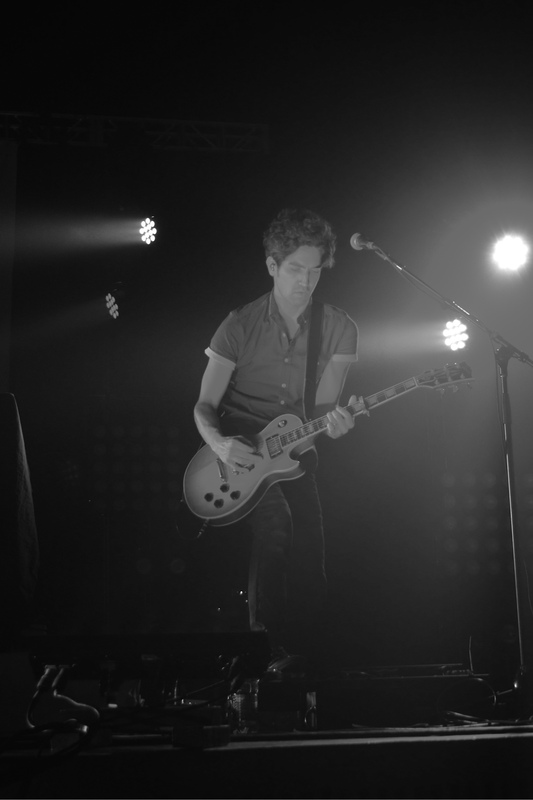 He is an amazing singer and guitarist. 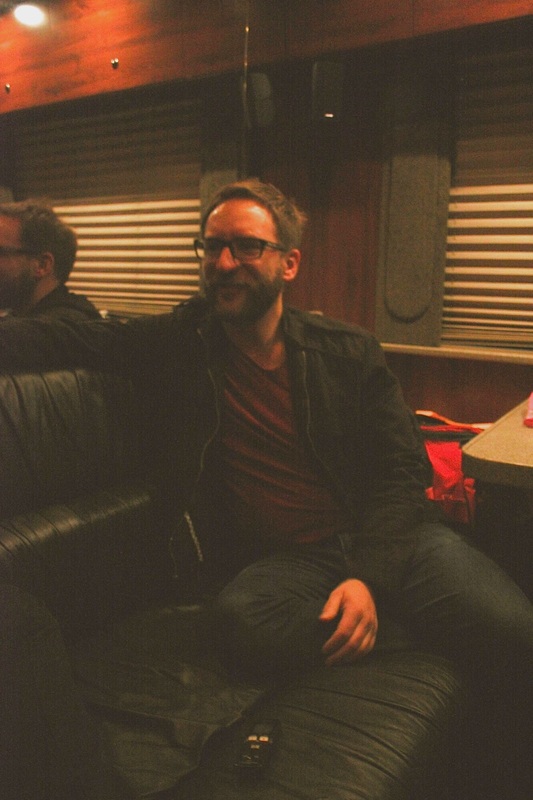 We are super excited to be on the road with him. And then we will be touring with Newsong on their Christmas tour. I’m really excited to hear Christmas Shoes every night. (laughter ensues) No, I really am. I want to see if people cry every night and how that goes. At this point the crew member admitted to having no clue what song we were talking about and we all just stared at him before questioning where he has been for the last decade. The conversation led to questions of rider demands such as “is there a certain quota for people crying during Christmas Shoes?” So on and so on. DCT: Mark, thanks a lot for your time. Great seeing you and hope to see you again soon. Mark: Likewise and good luck with everything. This entry was posted in art, Christianity, Music and tagged francesca battistelli, josh wilson, newsong, sanctus real, twenty one pilots. Bookmark the permalink.